Courtesy of Ranch & Sea Realty, Patricia King. $149,900.00, 55 Plus with second person age 45. $314.00 Per Month for HOA Fees, includes TV, Water and Trash. 2/2 with extra TV, dining, or den office area. Seller has replaced new roof and is doing drywall in home. Laminate Floors. The Seller added new Pricing with the additions. Solar Heated Community Pool and Spa, Clubhouse, Laundry, Festive Events. Please, send me more information on this property: MLS# 180034202 – $149,900 – Vista, CA 92084. 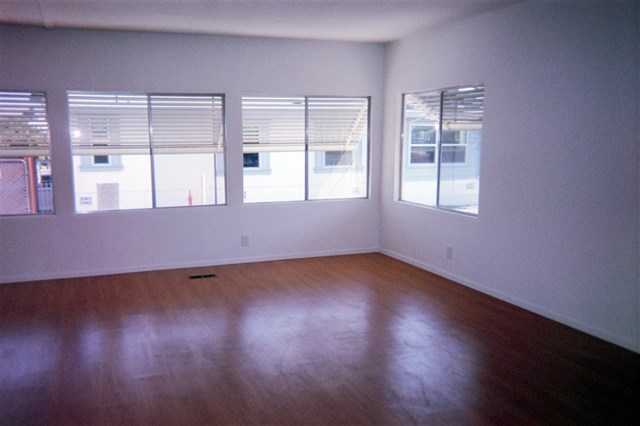 I would like to schedule a private showing for this property: MLS# 180034202 – $149,900 – Vista, CA 92084.